• HPSU - html Version. What is Ontology and why we need it? – What an ontology is for? – What is in an Ontology? "A revolution for information access and integration." weder für den Einzelnen noch für Staaten. 1. ONTOLOGY for the WEB. • Introduction – What is in an Ontology? - Generally about Ontology - What an ontology is for? • Ontology’s essence – (Definition). • Context – References – Weblinks: – (Introduction). 2. 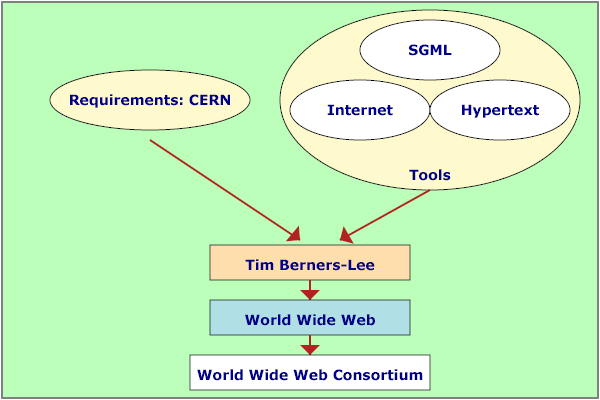 The Semantic Web "layer cake" as presented by Tim Berners-Lee. – A Layered Approach to Information Modeling and Interoperability on the Web. – SHOE Context – References – Weblinks: – (University of Maryland – HTML Ontology Extensions). • Development (schema) – (History) of the web ontology languages. • OIL: Ontology Interchange Language. – OIL Context – References – Weblinks: – (the Ontology Inference Layer). • DAML: DARPA Agent Mark Up Language (or DAML- ONT). – DAML-S - Semantic Markup for Web Services. – DAML Context – References – Weblinks: – (DARPA Agent Mark Up Language - DAML). • DAML+OIL: Semantic Markup language for Web Resources. – DAML+OIL: Context – References – Weblinks: – (Semantic Markup language for Web Resources). • OWL: (W3C) - OWL: Web Ontology Language. – OWL (W3C) - OWL: Web Ontology Language. – OWL-S (W3C) - OWL-based Web Service Ontology. – References – Weblinks: – (W3C's – OWLWeb Ontology Language). 4. Course – Lesson – Lecture. • Target group. – Entrepreneurs, professionnels and managers. • Aim of the course. – The lecture comprises the most important drafts of the semantic Web. • Content of the course. – About Web resources. – (Axioms of Web architecture). – History of the Web. Oxford Brookes University 2002. – Tim Berners-Lee: Design Issues. Architectural and philosophical points. – Architecture of the World Wide Web, Volume One. W3C Recommendation 15 December 2004. – The World Wide Web Consortium ( W3C ). W3C Develops Web Standards and Guidelines. 5. References ONTOLOGY - SEMANTIC WEB. – Introductions and Overviews. / Applications and Initiatives. The term ONTOLOGY is borrowed from philosophy, where an Ontology is a systematic account of Existence. In philosophy, an ontology is a theory about the nature of existence, of what types of things exist; ontology as a discipline studies such theories. or to being in the abstract. For AI (Artificial-Intelligence) systems, what "exists" is that which can be represented. ontology is a document or file that formally defines the relations among terms. The most typical kind of ontology for the Web has a Taxonomy and a set of Inference Rules. Taxonomy : Classification, especially in relation to its general laws or principles; that department of science, or of a particular science or subject, which consists in or relates to classification; especially the systemic classification of living organisms. The taxonomy defines classes of objects and relations among them. To specify a conceptualization one needs to state axioms that do constrain the possible interpretations for the defined terms. Ontologies are a specification mechanism. An ontology is an explicit specification of a conceptualization. Inference rules in ontologies supply further power. Ontology in the computer science area, specifically in the AI community, it is considered an engineering artifact, constituted by a specific vocabulary used to describe a certain reality, plus a set of explicit assumptions regarding the intended meaning of the vocabulary words. The assumptions has usually the form of a first order logical theory where vocabulary words appear as unary (concepts) or binary (relations) predicate names. In its simplest form an ontology will describe a hierarchy of concepts, as it gets mores sophisticated suitable axioms are added. Pragmatically, a common ontology defines the vocabulary with which queries and assertions are exchanged among software agents. Ontological commitments are agreements to use the shared vocabulary in a coherent and consistent manner. Many definitions of ontologies have surfaced in the last decade. The term ontology has many meanings and shades of meaning.
" An ONTOLOGY defines a common vocabulary for researchers who need to share information in a domain. It includes machine-interpretable definitions of basic concepts in the domain and relations among them." " An ONTOLOGY is a model of reality of the world and the concepts in the ontology must reflect this reality." " The subject of ONTOLOGY is the study of the categories of things that exist or may exist in some domain. domain of interest D from the perspective of a person who uses a language L for the purpose of talking about D.
when used to discuss topics in the domain D."
Building, Sharing, and Merging Ontologies. about a domain of discourse. The fundamental role of an ontology is to support knowledge sharing and reuse." Glossary of Knowledge Modelling Terms. "ONTOLOGY: A formal, explicit specification of how to represent the objects, concepts, and other entities in a particular system, as well as the relationships between them." " Ontologies are specifications of the concepts in a given field and the relationships among those concepts." " ONTOLOGY : explicit specification of a shared conceptualization that holds in a particular context"
A sum up from Guus Schreiber SWI, University of Amsterdam.
" An ONTOLOGY is a formal, explicit specification of a shared conceptualization." In this context, conceptualization refers to an abstract model of some phenomenon in the world that identifies that phenomenon’s relevant concepts. a precise mathematical description hints the word formal, means that the ontology should be machine understandable. Different degrees of formality are possible. Shared reflects the notion that an ontology captures consensual knowledge - that is, it is not restricted to some individual but is accepted by a group. 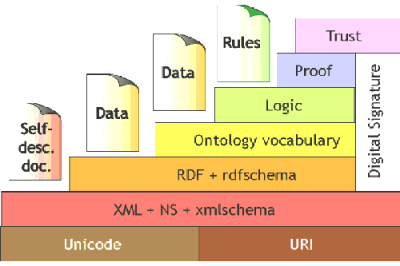 Ontologies can be used to support a great variety of tasks in diverse research areas such as knowledge representation, natural language processing, information retrieval, databases, knowledge management, on line database integration, digital libraries, geographic information systems, visual information retrieval or multi agent systems. Ontologies can enhance the functioning of the Web in many ways. They can be used in a simple fashion to improve the accuracy of Web searches - the search program can look for only those pages that refer to a precise concept instead of all the ones using ambiguous keywords. More advanced applications will use ontologies to relate the information on a page to the associated knowledge structures and inference rules.
" Knowledge Base: An informal term for a collection of information that includes an ONTOLOGY as one component. in natural language or procedural code. " the combination of logic with an ontology provides a language that can express relationships about the entities in the domain of interest.
" Knowledge Interchange Format - KIF - : a PARTICULAR LOGIC LANGUAGE, has been proposed as a standard to use to describe things within computer systems, e.g. expert systems, databases, intelligent agents, etc. KIF is a prefix version of First order predicate logic with Set Theory (here - down) with Logically comprehensive extensions to support non-monotonic reasoning, definitions and Model-theoretic semantics. The language description includes both a specification for its syntax and one for its semantics." " For the processing of the knowledge available in the Semantic Web are inference engine necessary. " Inference engines deduce new knowledge from already specified knowledge. (1)logic based inference engines and (2) specialized algorithms (Problem Solving Methods). – What is an Ontology? – Autor: Tom Gruber – <Thomas R. Gruber> – Knowledge Systems Laboratory, Stanford University. – Toward Principles for the Design of Ontologies - Used for Knowledge Sharing. 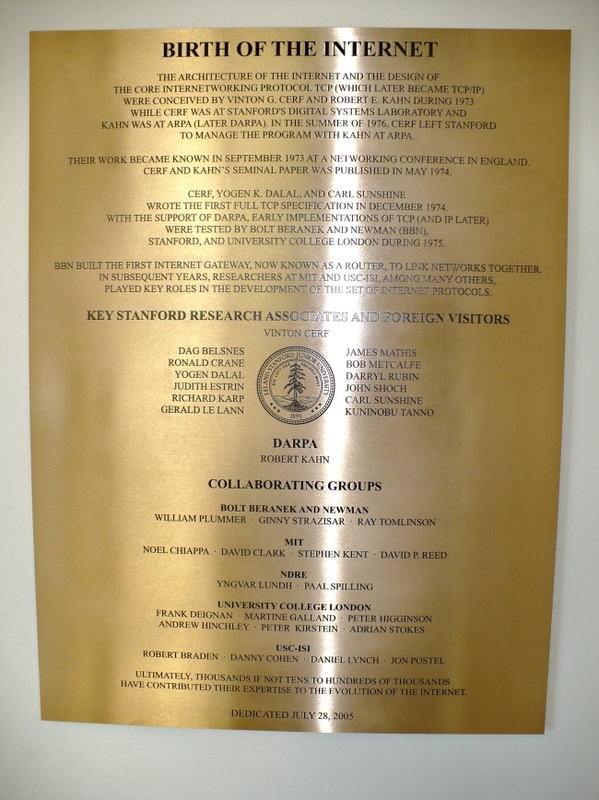 (PDF) 1993 – <Thomas R. Gruber> – KSL Stanford University. – Knowledge Interchange Format From Wikipedia, the free encyclopedia. – First-Order Logic. (also known as first-order predicate calculus) - from Wolfram MathWorld. – First-Order Logic. From Wikipedia, the free encyclopedia. – Predicate logic. From Wikipedia, the free encyclopedia. – Glossary of First-Order Logic. Peter Suber, Department of Philosophy, Earlham College, Richmond, Indiana, 47374, U.S.A.
– Set Theory. Stanford Encyclopedia of Philosophy. – 4.4.5 Theory of Sets. Mathematical Markup Language (MathML) Version 3.0 - W3C Recommendation 21 October 2010. – Basic Notions of Modeltheoretic Semantics. – Model-Theoretic Semantics. OWL 1.1 Web Ontology Language - W3C Working Draft 8 January 2008. – Model-Theoretic Semantics. OWL 2 Web Ontology Language - W3C Working Draft 11 April 2008. – A Model-Theoretic Semantics. for DAML+OIL (March 2001). that can be communicated between people and heterogeneous and distributed application systems. 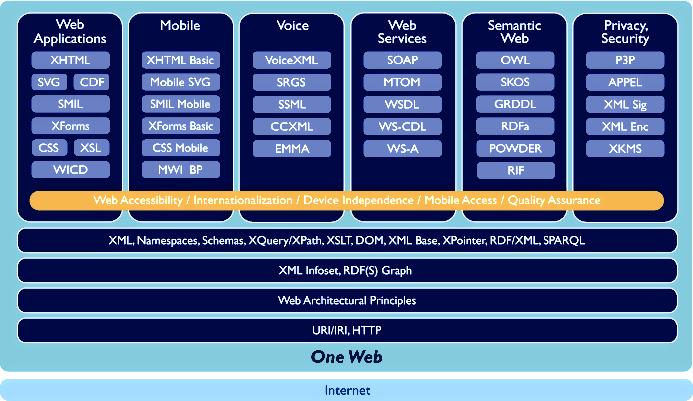 • Development (schema) History of the web ontology languages. in ways that facilitate the use of software programs to find or interpret it. Querying the Web today can be a frustrating activity because the results delivered by syntactically oriented search engines often do not match the intentions of the user. This problem is caused by the Web’s lack of semantic structures that could be exploited during the search process. However, XML has a limited capability to describe the relationships (schemas or ontologies) with respect to objects. The use of ONTOLOGIES provides a very powerful way to describe objects and their relationships to other objects. SHOE: Simple HTML Ontology Extensions. An important early ontology language was the Simple HTML Ontology Extensions (SHOE) language developed by students at the University of Maryland. SHOE makes real intelligent agent software on the web possible. HTML was never meant for computer consumption; its function is for displaying data for humans to read. The "knowledge" on a web page is in a human-readable language , laid out with tables and graphics and frames in ways that we as humans comprehend visually. Unfortunately, intelligent agents aren't human. Even with state-of-the-art natural language technology, getting a computer to read and understand web documents is very difficult. This makes it very difficult to create an intelligent agent that can wander the web on its own, reading and comprehending web pages as it goes. SHOE - Simple HTML Ontology Extensions, a KR language which allows web pages to be annotated with semantics. SHOE allows authors to annotate their pages with ontology-based knowledge about page contents. SHOE allows users to issue queries that are much more sophisticated than keyword search techniques, including queries that require retrieval of information from many sources. – SHOE - Parallel Understanding Systems Group - Department of Computer Science - University of Maryland. – Semantic Interoperability on the Web (PPT) - Autor: Jeff Heflin and James Hendler, University of Maryland. – SHOE Publications - Parallel Understanding Systems Group - Department of Computer Science - University of Maryland. – SHOE: A Blueprint for the Semantic Web (PDF) - Autor: Heflin, J., Hendler, J., and Luke, S. Semantic Web. MIT Press, Cambridge, MA, 2003. – The SHOE FAQ - Parallel Understanding Systems Group - Department of Computer Science - University of Maryland. – Simple HTML Ontology Extensions (SHOE) Cover Pages – OASIS, Organization for the Advancement of Structured Information Standards. – Simple Ontology Extensions (PPT) Autor: Ahmet Selman Bozkir - Hacettepe University Computer Eng. Dept. from RDF(S) to OWL Web Ontology Language.
" a joint standard for integrating ontologies with exisiting and arising web standards ". OIL is a Web-based representation and inference layer for ontologies, which combines the widely used modeling primitives from frame-based languages with the formal semantics and reasoning services provided by Description Logics(DL). XML can be used as a serial syntax for OIL. The syntax of OIL is oriented towards XML and RDF. Furthermore, OIL is the first ontology representation language that is properly grounded in W3C standards such as RDF/RDF-schema and XML/XML-schema. OIL unifies three important aspects: Formal semantics and efficient reasoning support as provided by (1) Description Logics, (2) epistemological rich modeling primitives as provided by Frame languages, and a (3) standard proposal for syntactical exchange notations as provided by the Web community. (1) Description Logics (DL) describe knowledge in terms of concepts and role restrictions that are used to automatically derive classification taxonomies. They provide theories and systems for expressing structured knowledge, for accessing it and reason-ing with it in a principled way. Description Logics allow specifying a terminological hierarchy using a restricted set of first order formulas. They usually have nice computational properties (often decidable and tractable, or at least seem to have nice average computational properties), but the inference services are restricted to classification and subsumption. That means, given formulae describing a classes, the classifier associated with a certain description logic will place them inside a hierarchy, and given an instance description, the classifier will determine the most specific classes to which the particular instance belongs. From a modeling point of view, Description Logics correspond to monadic/dyadic Predicate Logic statements with three variables. (2) Frame-based systems provide as central modeling primitive classes (i.e., frames) with certain properties called attributes. These attributes do not have a global scope but are only applicable to the classes they are defined for. A frame provides a certain context for modeling one aspect of a domain. (3) Web standards: XML and RDF. Given the current dominance and importance of the WWW, a syntax of an ontology language must be formulated using existing web standards for information representation. The XML schema syntax of OIL was mainly defined as an extension of XOL (XML-Based Ontology Exchange Language). OIL is also defined on top of the Resource Description Framework RDF and RDF schema. OIL shares many features with OKBC (Open Knowledge Base Connectivity) and defines a clear semantics and XML-oriented syntax for them. In the same way that OIL provides an extension to OKBC (and is therefore downward compatible with OKBC) it also provides an extension to RDF and RDFS. Based on its RDF syntax, ontologies written in OIL are valid RDF documents. OIL extends the schema definition of RDFS. Based on these extensions an ontology in OIL can be expressed in RDFS. – Ontology Interchange Language (OIL) Cover Pages – OASIS, Organization for the Advancement of Structured Information Standards. – RESOURCES: Description Logics - maintained by Carsten Lutz - Univärsität Bremen. – DL-Learner: Learning Concepts in Description Logics (PDF) - <Jens Lehmann> - Department of Computer Science, University of Leipzig. – An Introduction to Description Logics (PDF) - Autor: Daniele Nardi, Ronald J. Brachman. – Description Logics: Logics and Ontologies. (PDF) - <Enrico Franconi> - Department of Computer Science, University of Manchester. – The Role of Frame-Based Representation on the Semantic Web. Deborah McGuinness - Knowledge Systems, AI Laboratory Stanford University. – Schemabasierte P2P-Netzwerke - Techn. Hilfsmittel:RDF, OIL (PDF) - Univärsität Leipzig. • DAML-S: Semantic Markup for Web Services. US Defense Advanced Research Projects Agency. RDF was developed by the W3C at about the same time as XML, and it turns out to be an excellent complement to XML, providing a language for modeling semi-structured metadata and enabling knowledge-management applications. The RDF core model is successful because of its simplicity. The W3C also developed a purposefully lightweight schema language, RDF Schema (RDFS), to provide basic structures such as classes and properties. the limitations of this lightweight schema language have become evident. Accordingly, a group set out to develop a more expressive schema language, DARPA Agent Markup Language (DAML). "The goal of the DAML program is to create technologies that will enable software agents to dynamically identify and understand information sources, and to provide interoperability between agents in a semantic manner." Although DAML is not a W3C initiative, several familiar faces from the W3C, including Tim Berners-Lee, participated in its development. which would be based primarily on RDF (Resource Description Framework), the W3C's metadata technology for adding machine-readable data to the Web. " The DAML language is being developed as an extension to XML and the Resource Description Framework (RDF). "The DARPA Agent Mark-Up Language (DAML) (or DAML-ONT) is being designed as an XML-based semantic language that ties the information on a page to machine-readable semantics (ontology)." RDF provide a basic feature set for information modeling. RDF is very similar to a basic directed graph , which is a very well understood data structure in computer science. This simplicity serves RDF very well, making it a sort of assembly language on top of which almost every other information-modeling method can be overlaid. However, users have desired more from RDF and RDF Schema, including data types, a consistent expression for enumerations, and other facilities. Logicians, some of whom see RDF as a possible tool for developing long-promised practical AI systems, have bemoaned the rather thin set of facilities provided by RDF. In response the DARPA Agent Markup Language (DAML) sprang from a U.S. government-sponsored effort in August 2000, which released DAML-ONT, a simple language for expressing more sophisticated RDF class definitions than permitted by RDFS. – The DARPA Agent Markup Language Homepage. – About the DAML Language. – DAML Organisation. – DAML Briefings – DAML Organisation. – Knowledge Sharing Effort – DARPA – From Wikipedia, the free encyclopedia. – Directed Graphs – Russian Academic dictionaries and encyclopedias. – Directed Graphs – Autor: Kenneth R. Koehler – University of Cincinnati, Raymond Walters College. – DARPA Agent Markup Language (DAML) Status and Tools. by Dan Connolly - W3C - World Wide Web Consortium. – DAML Tools – DAML Organisation. – Resource Description Framework (RDF) - W3C - World Wide Web Consortium. • DAML-S: Semantic Markup for Web Services / DAML-Enabled Web Services. The DARPA Agent Markup Language (DAML) program aims to allow one to mark up web pages to indicate the meaning of their content. The Semantic Web should enable greater access not only to content but also to services on the Web. Users and software agents should be able to discover, invoke, compose, and monitor Web resources offering particular services and having particular properties. As part of the DARPA Agent Markup Language program, an ontology of services, called DAML-S, that will make these functionalities possible. Among the most important web resources are those that provide services. allow one to effect some action or change in the world, such as the sale of a product or the control of a physical device. The Semantic Web should enable users to locate, select, employ, compose, and monitor Web-based services automatically. To make use of a Web service, a software agent needs a computer-interpretable description of the service, and the means by which it is accessed. An important goal for DAML, then, is to establish a framework within which these descriptions are made and shared. Web sites should be able to employ a set of basic classes and properties for declaring and describing services, and the ontology structuring mechanisms of DAML provide the appropriate framework within which to do this. Services can be primitive in the sense that they invoke only a single Web-accessible computer program, sensor, or device that does not rely upon anotherWeb service, and there is no ongoing interaction between the user and the service, beyond a simple response. For example, a service that returns a postal code or the longitude and latitude when given an address would be in this category. Or services can be complex, composed of multiple primitive services, often requiring an interaction or conversation between the user and the services, so that the user can make choices and provide information conditionally. One’s interaction with www.amazon.com to buy a book is like this; the user searches for books by various criteria, perhaps reads reviews, may or may not decide to buy, and gives credit card and mailing information. DAML-S is meant to support both categories of services, but of course, complex services have provided the primary motivations for the features of the language. The following four sample tasks will give the reader an idea of the kinds of tasks we expect DAML-S to enable. 2. Automatic Web service invocation. 3. Automatic Web service composition and interoperation. 4. AutomaticWeb service execution monitoring. The service profile tells what the service does; that is, it gives the type of information needed by a service-seeking agent to determine whether the service meets its needs. A service profile provides a high-level description of a service and its provider; it is used to request or advertise services with discovery/location registries. • a host of functional attributes which provide additional information and requirements about the service that assist when reasoning about several services with similar capabilities. A more detailed perspective on services is that a service can be viewed as a process. The two chief components of a process model are the process, which describes a service in terms of its component actions or processes, and enables planning, composition and agent/service interoperation; and the process control model, which allows agents to monitor the execution of a service request. DAML-S is an attempt to provide an ontology, within the framework of the DARPA Agent Markup Language, for describing Web services. It will enable users and software agents to automatically discover, invoke, compose, and monitor Web resources offering services, under specified constraints. DAML+OIL: Semantic Markup language for Web Resources. The DAML group soon pooled efforts with the Ontology Inference Layer (OIL), another effort providing more sophisticated classification, using constructs from frame-based AI. Since then, an ad hoc group of researchers has formed the " Joint US/EU committee on Agent Markup Languages "
far more sophisticated classifications and properties of resources than RDFS." The DAML+OIL ontology language is much richer in many ways than the SHOE language was. DAML+OIL is a semantic markup language for Web resources. The DARPA Agent Markup Language (DAML) is being developed as an extension to XML and the Resource Description Framework (RDF). It builds on earlier W3C standards such as RDF and RDF Schema, and extends these languages with richer modelling primitives. DAML+OIL provides modelling primitives commonly found in frame-based languages. DAML+OIL (March 2001) extends DAML+OIL (December 2000) with values from XML Schema datatypes. The language has a clean and well defined semantics. DAML+OIL prescribes a specific meaning for triples that use the DAML+OIL vocabulary. The model-theoretic semantics specifies exactly which triples are assigned a specific meaning, and what this meaning is. DAML+OIL shows how modern ontology languages are becoming more powerful and also more embedded on the web -- that is, they are more tied into advanced web languages. ( One key difference between DAML+OIL and SHOE is that DAML+OIL does not assume that the markup lives on the same page as the object being described. In fact, the practice has become to have a separate page, using a ".daml" extension, which describes information in a manner intended for computers, not for humans. However, as the languages get more complicated, it gets harder for users to harness the full expressivity of the language, and harder for users to check to see whether the ontology someone else designed has the meaning they expect. There are a number of research areas that are opened up by these languages, and their complexity, including issues of tool design, language display, and the use of the ontologies by more complex web agents. – An Axiomatic Semantics for RDF, RDF-S, and DAML+OIL – Richard Fikes, Deborah L McGuinness, Knowledge Systems Laboratory, Stanford University. – An Axiomatic Semantics for RDF, RDF-S, and DAML+OIL – Richard Fikes, Deborah L McGuinness – W3C Note 18 December 2001. • OWL : Web Ontology Language. • OWL-S : OWL-based Web Service Ontology.
" The task of classifying all the words of language, or what's the same thing, all the ideas that seek expression, is the most stupendous of logical tasks. and even for the strongest man, it is the severest possible tax on the logical equipment and faculty." " The art of ranking things in genera and species is of no small importance and very much assists our judgment as well as our memory. You know how much it matters in botany, not to mention animals and other substances, or again moral and notional entities as some call them. Order largely depends on it, and many good authors write in such a way that their whole account could be divided and subdivided according to a procedure related to genera and species. This helps one not merely to retain things, but also to find them. And those who have laid out all sorts of notions under certain headings or categories have done something very useful." Gottfried Wilhelm Leibniz , New Essays on Human Understanding. The World Wide Web and digital libraries are enormous repositories which concentrate huge volumes of distributed heterogeneous data. The accessibility, maintenance, organization, preservation among other required tasks to manage these repositories as efficient as possible overcome human capabilities, in such a way that to carry them out, it is necessary the support of automatic processes or tools. To achieve with this goal, an appropriated way to describe these repositories and their data machine understandable is required. Many alternatives have been developed, however, there is not a consensus to use one or a small set of them yet. Artificial Intelligence is a research area which has proposed important approaches as data structures, relational data bases, mathematic logic, procedures, taxonomies among others. One of these proposals termed ontologies. Ontologies emerged as an alternative to represent knowledge. However, they have been used to support a great variety of tasks. At present, there are applications of ontologies with commercial, industrial, academical or research focuses. People, organizations and software programs must communicate, although different needs and backgrounds imply different viewpoints. This divergence is natural and valuable, but it leads to problems in communication, interaction and understanding. Ontologies are an alternative to address these kind of problems. • OWL: Web Ontology Language. OWL (Ontology Web Language) is being developed by the W3C Web-Ontology (WebOnt) Working Group (Closed). A new W3C OWL website has been developed for providing more information about OWL. OWL has more facilities for expressing meaning and semantics than XML, RDF, and RDF-S, and thus OWL goes beyond these languages in its ability to represent machine interpretable content on the Web. OWL is a revision of the DAML+OIL web ontology language incorporating lessons learned from the design and application of DAML+OIL. OWL provides a basic infrastructure that allows a machine to make the same sorts of simple inferences that human beings do. - Previous message: Jim Hendler: "Re: "Transitive over" properties"
- In reply to: wwmm: "Which kind of ontology is OWL specification?" > Is OWL specification a ontology? > If so, Which kind of ontology is OWL specification? > It is a representational ontology or task ontology? You ask a hard question - because it hinges on exactly what one defines as an ontology, a representational ontology, or a task ontology. 3 - OWL has also been used to define "task" or "process" ontologies, where this term is used to mean a description of things in the world that change over time or a description of what the AI community has called in the past "planning operators." The best example I know of this can be found in the OWL-S work, which aims to use OWL to provide semantics for Web Service applications . Computer Science Program, Shinawatra University, Pathumthani 12160, Thailand. Center for Information and Multimedia Studies, Hokkaido University , Sapporo 060, Japan. Extensions for arbitrary domains and specific tasks. (a translation mechanism between XML documents). It is a XML compatible knowledge representation language for the web. It allows page authors to annotate their web documents. It is not actively maintained. Syntactic conventions and simple data models to represent semantics. It supports interoperability aspects with object - attribute - value relationships. Primitives to model basic ontologies with RDF. a proposal for syntatic interchange of annotations. it is less compatible with RDF than OIL. Simplicity, a generic approach to define ontologies. It has two syntactical variants based on XML and RDF Schema. The World Wide Web is presently a very large collection of mainly statistical documents, a large database without logic. More and more businesses are completed over the Internet. One of the most frequent problems is not only the availability of information, (then the Web-presence alone produced no marketing success yet), but rather also the intelligent settlement of the exchange of information, (B2B; B2C; Supply Chain Management, CRM,...etc.) electronic managements of strategic processes. The present extension of the WWW is going mainly through meaningless associations. Good businesses intelligence for Internet businesses or the generation of aim orientated offers for the E-COMMERCE, next to the simple needed information; extraction and interpretation of a problem are the technologies, which are available today. Tim Berners-Lee, the inventor of the WWW, established the vision of a "Semantic Web", intelligent use of the WWW for the transmission and the exchange of contents that are intelligible also for machines and people. It can be briefly described as an XML application to provide intelligent access to heterogeneous and distributed information. The notion of the semantic web as promoted by Tim Berners-Lee and by Jim Hendler as the focus of a major DARPA (Defense Advanced Research Projects Agency) -funded research effort, is to transform the current World Wide Web so that the information and services are understandable and useable by computers as well as humans. The Semantic Web will create an environment where software agents can readily perform sophisticated tasks and help humans find, understand, integrate, and use information. The vision of the semantic web is to enable software agents to interact with each other without having to specify exchange formats or APIs a priori, like it is necessary in today's distributed systems. The key distinguishing feature of the Semantic Web will be ONTOLOGIES which will enable software agents to find the meaning of the information on Web pages by following hyperlinks to definitions of key terms and rules for reasoning about them logically. Ontologies will play a major role in supporting information exchange processes in various areas and networks. A prerequisite for such a role is the development of a joint standard for specifying and exchanging ontologies. Ontologies play a crucial role for the semantic web. The Semantic Web support automatic services, being based on the semantic descriptions. Knowledge can be mediated only with the help of semantic. – What is HyperText ?, Hypertext Terms , HyperText and Information Retrieval, Related Protocols..
– Fragment Identifiers on URIs , Navigational Techniques and Tools. 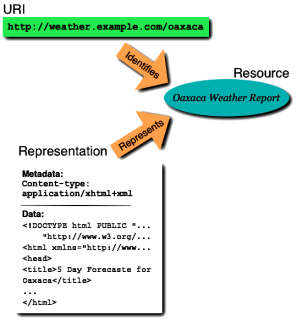 – Metadata Architecture: Documents, Metadata, and Links, Generic Resources. – Meaning: the meaning of a document. – RDF model theory ; Meaning of RDF documents; RDF "Axiomatic Semantics". RDF "Resource Description Framework" ; TRIPLE (N3), RDF/XML (Infrastructure for Semantic Web). 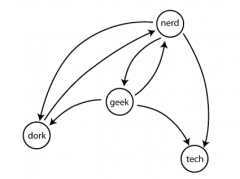 – Basis, Graph theory, Conceptual graphs (CGs). – Charles Sanders Peirce : " Existential Graphs " -semiotician, logician, rhetorician and metaphysician. – John F. Sowa : "Conceptual Graph Standard ": draft proposed American National Standard. – What is Ontology and why we need it? – What is a Knowledge Representation. Languages in the Semantic Web. PAN EUROPEAN - INTERCONNECTED KNOWLEDGE POOLS - ENGINEERING NETWORKING. Semantic Web based Services/Semantic Community Knowledge Web Portals EU/SME. Timeline research by Bob Carlson, Angela Burgess, and Christine Miller. History The University Museum, University of Pennsylvania. Center for the History of Electrical Engineering. – The World Wide Web (Web) is a network of information resources.
" KLICKEN Sie auf das BILD / Click on the Picture "
These statements of architectural principle explain the thinking behind the specifications. These are personal notes by Tim Berners-Lee: they are not endorsed by W3C. They are aimed at the technical community, to explain reasons, provide a framework to provide consistency for for future developments, and avoid repetition of discussions once resolved. Semantics and Interpretation (and dig.sig.) (1999/12/1) Philosophical bits. Paper Trail - read/write state derived from r/o documents in real life: which came first, the journal or the database? The World Wide Web uses relatively simple technologies with sufficient scalability, efficiency and utility that they have resulted in a remarkable information space of interrelated resources, growing across languages, cultures, and media. • In an effort to preserve these properties of the information space as the technologies evolve, this architecture document discusses the core design components of the Web. • They are identification of resources, representation of resource state, and the protocols that support the interaction between agents and resources in the space. We relate core design components, constraints, and good practices to the principles and properties they support. • Norman Walsh, Sun Microsystems, Inc.
( MIT Massachusetts Institute of Technology, ERCIM European Research Consortium for Informatics and Mathematics, Keio University Japan ). All Rights Reserved. W3C liability, trademark, document use and software licensing rules apply. The World Wide Web Consortium ( W3C ). by developing protocols and guidelines that ensure long-term growth for the Web. W3C Develops Web Standards and Guidelines. W3C refers to this goal as Web interoperability. Tim Berners-Lee , W3C Director and inventor of the World Wide Web. has served as the W3C Director since W3C was founded, in 1994. Weaving the Web by Tim Berners-Lee with Mark Fischetti. The original design and ultimate destiny of the WWW, by its inventor. to be represented, handled and queried. Ca. ... Std. Deeper involvement through private conversation is possible. Reference: The advisor Dipl. Ing. Johann Magori -CAE system specialist- member of the engineer chamber in Hessen. I would like to clarify through this presentation the term or Semantic Web as a concept for numerous standards, technologies and ideas for the questions concerning the transmission, storage, processing of data, and clarify special outlooks of the Semantic Web. - Formulating the learning objectives according to the needs. The SEMANTIC WEB - Introductions and Overviews. / Applications and Initiatives. • The Semantic Web will enable machines to COMPREHEND semantic documents and data, not human speech and writings. • Properly designed, the Semantic Web can assist the evolution of human knowledge as a whole. • Tim Berners-Lee W3C Director and inventor of the World Wide Web. as envisioned by its inventor, Tim Berners-Lee. the Semantic Web is rapidly taking shape. and a comprehensive reference list to various sets of literature (hypertext, Web and Semantic Web). A research agenda describes the open research issues in the development of the Semantic Web from the perspective of hypermedia research. • Dr. Jacco van Ossenbruggen, Centrum voor Wiskunde en Informatica (CWI) – INS2 (Interactive Information Access). • Professor Lynda Hardman , HOME , Centrum voor Wiskunde en Informatica (CWI) – INS2 (Interactive Information Access). • Lloyd Rutledge – Assistant Professor at the Open Universiteit Nederland. Most of the content of today's world wide web is designed for humans to read, not computers to manipulate. which might one day lead to much more accurate and targeted automatic searching and retrieval than is possible at present. • librarians • taxonomists • thesauri • probabilistic indexing • occurrence/co-occurrence • vector space modelling. A ‘treasury’ or ‘storehouse’ of knowledge, as a dictionary, encyclopaedia or the like. A collection of concepts or words arranged according to sense; also a dictionary of synonyms and antonyms. especially the systemic classification of living organisms. that department of metaphysics which relates to the being or essence of things, or to being in the abstract. ISSN: 0022-0418, DOI: 10.1108/00220410310457984, Publisher: MCB UP Ltd. The amount of work to be done in rendering the digital information space more efficient and effective has attracted a wide range of disciplines which, in turn, has given rise to a degree of confusion in the terminology applied to information problems. This note seeks to shed some light on the three terms thesauri, taxonomies and ontologies as they are currently being used by, among others, information scientists, AI practitioners, and those working on the foundations of the semantic Web. The paper is not a review of the techniques themselves. • Data • Internet • Management. – Jeen Broekstra, - AIdministrator Nederland B.V.
information will no longer only be intended for human readers, but also for processing by machines, enabling intelligent information services, personalized Web-sites, and semantically empowered search-engines. The Semantic Web requires interoperability on the semantic level. Semantic interoperability requires standards not only for the syntactic form of documents, but also for the semantic content. • A further representation and inference layer is needed on top of the currently available layers of the WWW. • To establish such a layer, we propose a general method for encoding arbitrary ontology representation languages into RDF/RDF Schema. • We illustrate the extension method by applying it to a particular ontology representation and inference language ( OIL ). A Layered Approach to Information Modeling and Interoperability on the Web. On the Semantic Web, the target audience is the machines rather than humans. To satisfy the demands of this audience, information needs to be available in machine-processable form rather than as unstructured text. A variety of information models like RDF or UML are available to fulfil this purpose, varying greatly in their capabilities. The advent of XML leveraged a promising consensus on the encoding syntax for machine-processable information. However, interoperating between different information models on a syntactic level proved to be a laborious task. In this paper, we suggest a layered approach to interoperability of information models that borrows from layered software structuring techniques used in today's internetworking. We identify the object layer that fills the gap between the syntax and semantic layers and examine it in detail. We suggest the key features of the object layer like identity and binary relationships, basic typing, reification, ordering, and n-ary relationships. Finally, we examine design issues and implementation alternatives involved in building the object layer. • layered data modeling • interoperability • object layer. Sergey Melnik is finishing a Ph.D. in Computer Science at Leipzig University, Germany under supervision of Prof. Erhard Rahm and Dr. Philip A. Bernstein (Microsoft Research, Redmond). He serves as an invited expert in the RDF Core Working Group at the World-Wide Web Consortium and is a recipient of a best student paper award (ICDE'02). He spent three years (1999-2002) as a visiting researcher in the Stanford Database Group where he worked with Prof. Hector Garcia-Molina and Prof. Emeritus Gio Wiederhold on a variety of topics including metadata management, database optimization, information retrieval, and Semantic Web. Adding formal semantics to the Web. RDF Schema provides means to define vocabulary, structure and constraints for expressing metadata about Web resources. However, formal semantics for the primitives defined in RDF Schema are not provided, and the expressivity of these primitives is not enough for full-fledged ontological modeling and reasoning. To perform these tasks, an additional layer on top of RDF Schema is needed. In this paper, we will show how RDF Schema can be extended in such a way that a full knowledge representation language can be expressed in it, thus enriching it with the required additional expressivity and the semantics of this language. We do this by describing the ontology language OIL as an extension of RDF Schema. First, we give a short introduction to both RDF Schema and OIL. We then proceed to define a Schema to express OIL ontologies in RDF, where the aim is to use existing RDF terminology where possible, and extending RDF(S) where necessary. The result is an RDF Schema definition of OIL primitives, which allows one to express any OIL ontology in RDF syntax, thus enabling the added benefits of OIL, such as reasoning support and formal semantics, to be used on the Web. We conclude that our method of extending is equally applicable to other knowledge representation formalisms. Beyond RDF(S): The Ontology Perspective for the Semantic Web. Institut AIFB, University of Karlsruhe and Ontoprise GmbH. Karlsruhe, Germany. – Prof. Dr. Steffen Staab. The Semantic Web relies heavily on the formal ontologies that structure underlying data for the purpose of comprehensive and transportable machine understanding. Therefore, the success of the Semantic Web depends strongly on the proliferation of ontologies, which requires fast and easy engineering of ontologies and avoidance of a knowledge acquisition bottleneck. Ontology Learning greatly facilitates the construction of ontologies by the ontology engineer. The vision of ontology learning that we propose here includes a number of complementary disciplines that feed on different types of unstructured, semi-structured and fully structured data in order to support a semi-automatic, cooperative ontology engineering process. Our ontology learning framework proceeds through ontology import, extraction, pruning, refinement, and evaluation giving the ontology engineer a wealth of coordinated tools for ontology modeling. Besides of the general framework and architecture, we show in this paper some exemplary techniques in the ontology learning cycle that we have implemented in our ontology learning environment, Text-To-Onto, such as ontology learning from free text, from dictionaries, or from legacy ontologies, and refer to some others that need to complement the complete architecture, such as reverse engineering of ontologies from database schemata or learning from XML documents. Researchers in artificial intelligence first developed ontologies to facilitate knowledge sharing and reuse. Ontologies play a major role in supporting information exchange across various networks. The authors present OIL, a proposal for such a standard. The First International Workshop on MultiMedia Annotation, Tokyo, Japan. January 2001. Creating metadata by annotating documents is one of the major techniques for putting machine understandable data on the Web. Though there exist many tools for annotating web pages, few of them fully support the creation of semanti-cally interlinked metadata, such as necessary for a truely Semantic Web. In this paper, we present an ontology-based annotation environment, On-toAnnotate, which offers comprehensive support for the creation of semantically interlinked meta-data by human annotators. NOMOS: A Semantic Web Software Framework for Annotation of Multimodal Corpora. We present NOMOS, an open-source software framework for annotation, processing, and analysis of multimodal corpora. NOMOS is designed for use by annotators, corpus developers, and corpus consumers, emphasizing configurability for a variety of specific annotation tasks. Its features include synchronized multi-channel audio and video playback, compatibility with several corpora, platform independence, and mixed display of capabilities and a well-defined method for layering datasets. Second, we describe how the system is used. For corpus development and annotation we present a typical use scenario involving the creation of a schema and specialization of the user interface. For processing and analysis we describe the GUI- and Java-based methods available, including a GUI for query construction and execution, and an automatically generated schema-conforming Java API for processing of annotations. Additionally, we present some specific annotation and research tasks for which NOMOS has been specialized and used, annotation and research tasks for which NOMOS has been specialized and used, including topic segmentation and decision-point annotation of meetings. • Annotation, • Multimodal Corpora, • Semantic Web. Actually: Research Fellow / PhD Student Human Communication Research Centre School of Informatics, The University of Edinburgh. The Semantic Web: KR's Worst Nightmare? Artificial Intelligence researchers have studied such systems since long before the web was developed. Knowledge representation, as this technology is often called, is currently in a state comparable to that of hypertext before the advent of the web: it is clearly a good idea, and some very nice demonstrations exist, but it has not yet changed the world. It contains the seeds of important applications, but to unleash its full power it must be linked into a single global system. Tim Berners-Lee, inventor of the WWW, 2001. • Semantic Web, • Knowledge Representation and Reasoning, • Ontology. • Professor James A. Hendler , Department of Computer Science , University of Maryland. Community web portals serve as portals for the information needs of particular communities on the web. We here discuss how a comprehensive and flexible strategy for building and maintaining a high-value community web portal has been conceived and implemented. The strategy includes collaborative information provisioning by the community members. It is based on an ontology as a semantic backbone for accessing information on the portal, for contributing information, as well as for developing and maintaining the portal. We have also implemented a set of ontology-based tools that have facilitated the construction of our show case - the community web portal of the knowledge acquisition community. Semantic Interoperability on the Web. – Jeff Heflin, James Hendler, University of Maryland. XML will have a profound impact on the way data is exchanged on the Internet. which makes it easier to select and/or reformat the data. those who wish to integrate information will still be faced with the problem of semantic interoperability. and then discuss why the Resource Description Framework is only a partial solution. We then present the SHOE language, which we feel has many of the features necessary to enable a semantic web, and describe an existing set of tools that make it easy to use the language. • XML and DTDs, • RDF and RDF Schema, • SHOE. in the field of IT & C and CAD/CAM for young professionals to develop teleworking projects. W3C – HTML 5 – A vocabulary and associated APIs for HTML and XHTML. W3C – W3C XML Schema Definition Language (XSD) 1.1 Part 2: Datatypes. W3C – Document Object Model (DOM) Level 2 HTML Specification. Version 1.0. W3C – Scalable Vector Graphics (SVG) 1.1 Specification. W3C – Scalable Vector Graphics (SVG) Tiny 1.2 Specification. "European Council - March 2000-Lisbon / Barcelona 2002"